If the above solution works, you man need to install different drivers. The computer I had that was experiencing this issue was a Dell Inspiron 1545. The drivers on dell’s website didn’t seem to resolve the problem. The drivers that did work for me were found here. This entry was posted in PC Repair on July 2, 2013 by J. Barrett Coats. A customer brought in a Window XP computer that had the “ZeroAccess” rootkit on it. It must have removed Microsoft Security Essentials (MSE) and replaced its directory with symbolic links (junctions) that pointed to the system32/config Directory. 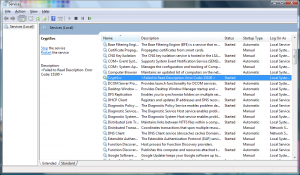 When I attempted to put MSE back on the client’s machine it failed with error code 0x80070643. I could not remove the symbolic links even in knoppix. This was because ZeroAccess was still not removed. After I removed it I was easily able to remove the symbolic links. After doing some research I found that the the Microsoft fix it at http://support.microsoft.com/mats/Program_Install_and_Uninstall worked well at completly uninstalling the program. I told the fix it program to uninstall the “Microsoft Security Client” after that the program installed with no additional problems. This entry was posted in PC Repair on June 26, 2013 by J. Barrett Coats. 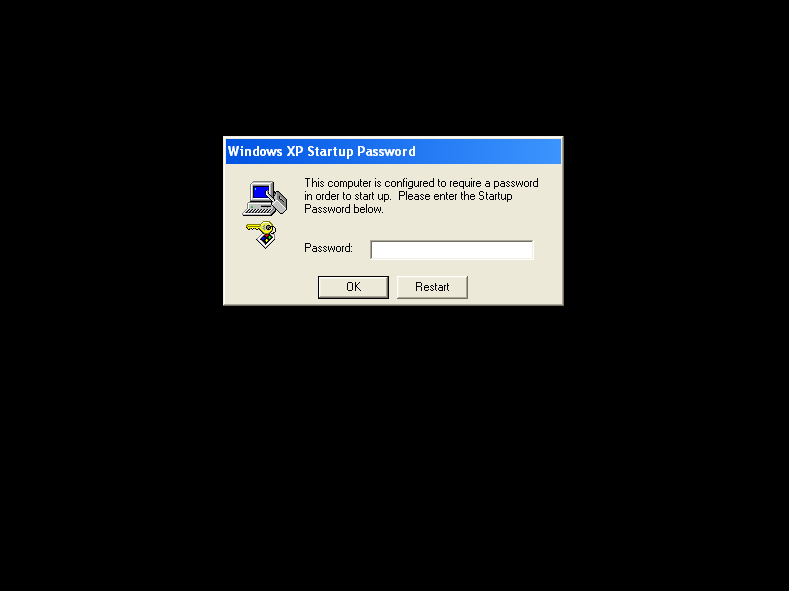 Computer shows only a black screen with the following text: Windows XP Startup Password – This computer is configured to require a password in order to start up. Please enter the Startup Password Below. This occurred after a client got on a phone call with someone claiming to be from “Windows”. The phone call started going bad for the would-be-scammer and he decided incapacitate the computer. 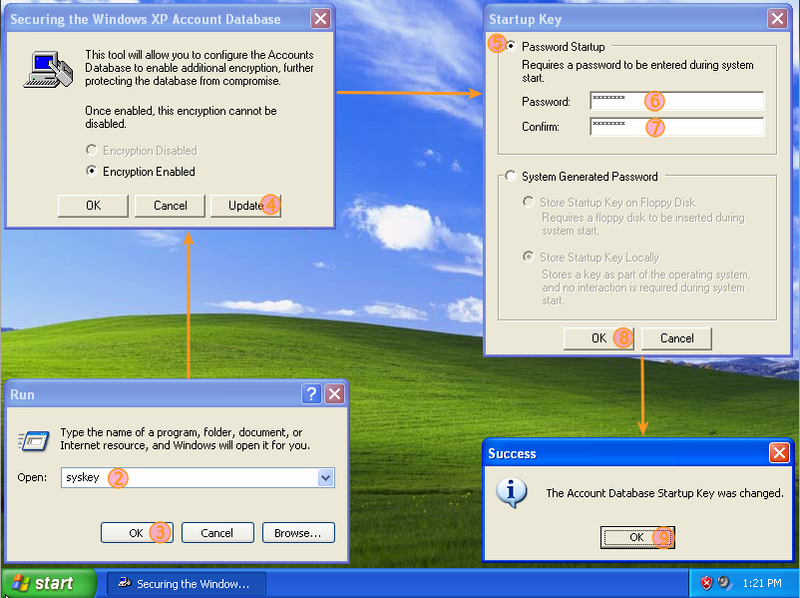 Windows XP prompting the user to input a syskey password. After a quick search I realized the program is called “Syskey“. If you have a restore point from before this was set, copy the registry hives from the restore point into your active registry’s folder (Normally C:\Windows\System32\config\). If you don’t know how to do this from a non-booting copy of Windows XP just follow these directions to learn how to do just that with the use of a Knoppix live CD. Don’t forget to backup your old hives and to run a system restore after the process is complete. Here is the process to lock your computer using Syskey. 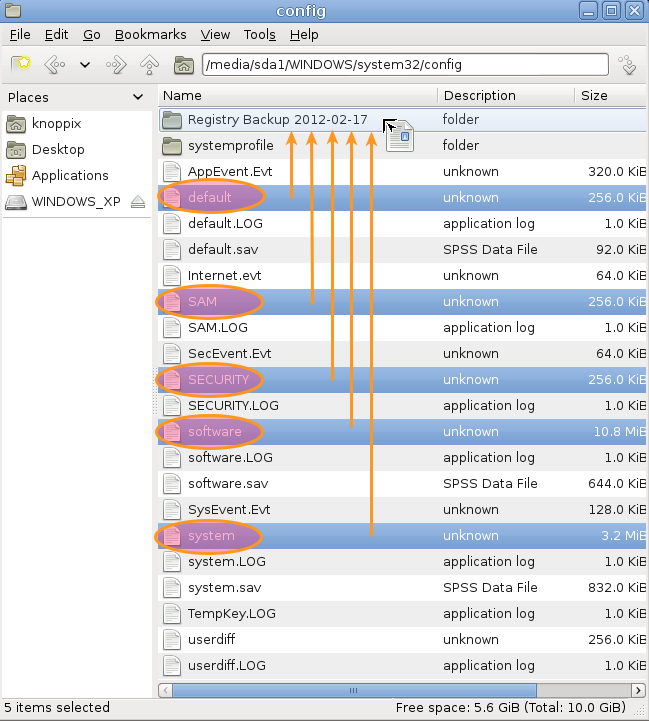 Process for setting up Syskey on Windows XP. Type syskey in the “Open:” field. On the new window: choose Update. On the “Startup Key” window: choose the Password Startup radio button. Type in the Password you wish to set. Type in the password again to Confirm it. Click OK on the “Startup Key” window. Click OK on the Success window. This entry was posted in PC Repair and tagged Windows XP on February 23, 2013 by J. Barrett Coats. This article is the first of what I hope will be many in a series I am calling “Base Level”. These articles will detail some of the base level skills you should already have if you work in a PC repair technician position. If you don’t know one of the items here don’t be embarrassed. I personally didn’t know any thing when I started and was hoping this would help someone in a similar position. If you aren’t familiar with these things learn to do them without having to refer to this site. The are things that you will do regularly. Why would I need to know this? 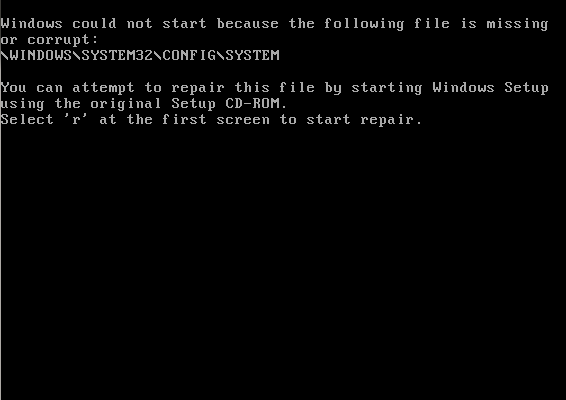 Windows XP displaying a boot error relating to a corrupt registry hive. What am I going to need for this? 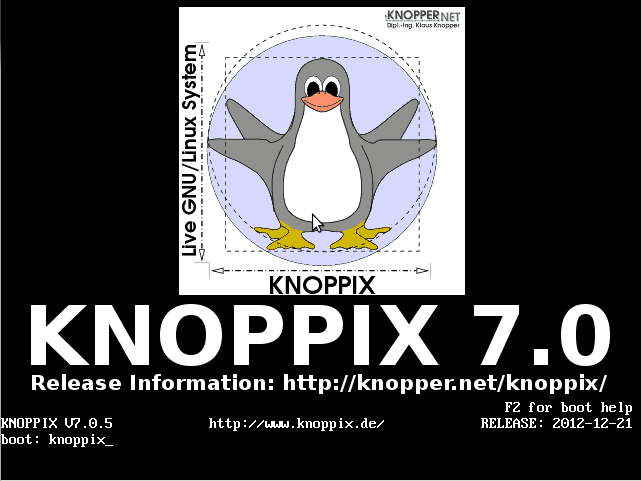 Head over to knopper.net and get the latest version of the Knoppix and burn that to a CD. Make a nice CD case for it and keep it around. This is a useful tool in your arsenal. Ok, I am ready. What do I need to do? Place your Knoppix CD into the your optical drive. When the boot: prompt pops up type knoppix and press enter. When Knoppix gets fully loaded click on the PCManFM icon in the bottom tool bar on the left. 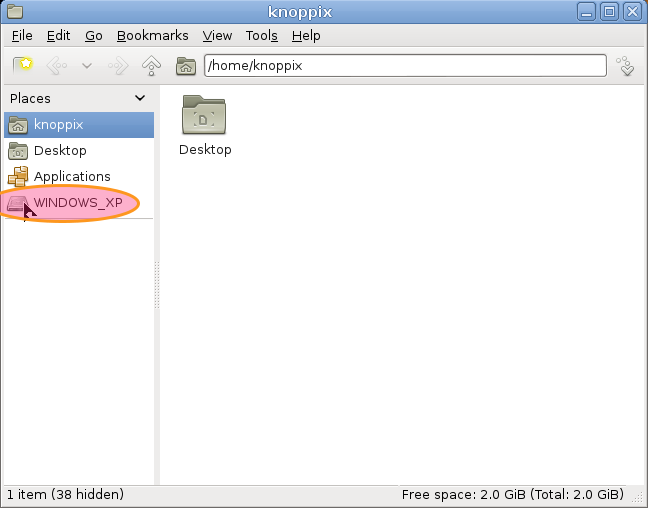 Location of the file browser (PCManFM) in Knoppix. 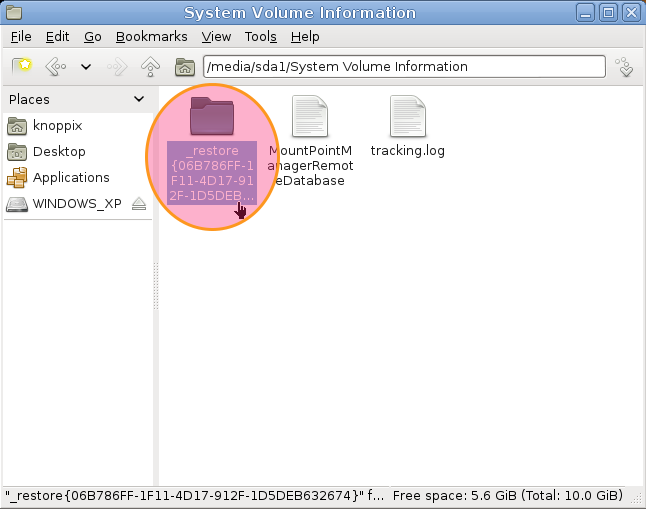 Locate the partition where your windows install is and and click on it. Note: It probably will not be marked as “WINDOWS_XP”. 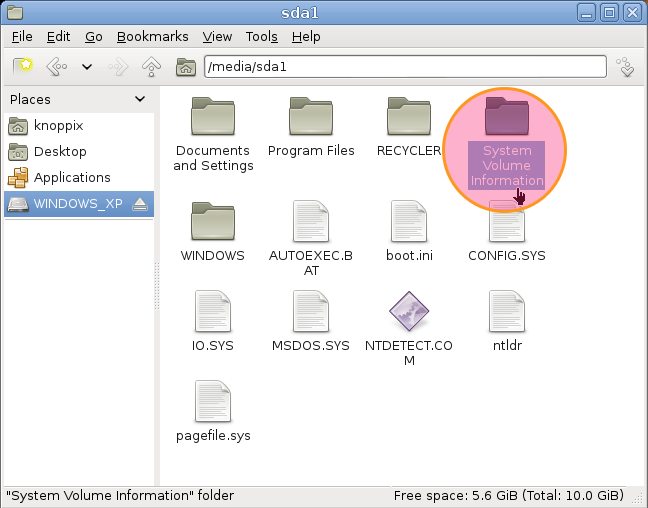 Click on the System Volume Information folder to open it. 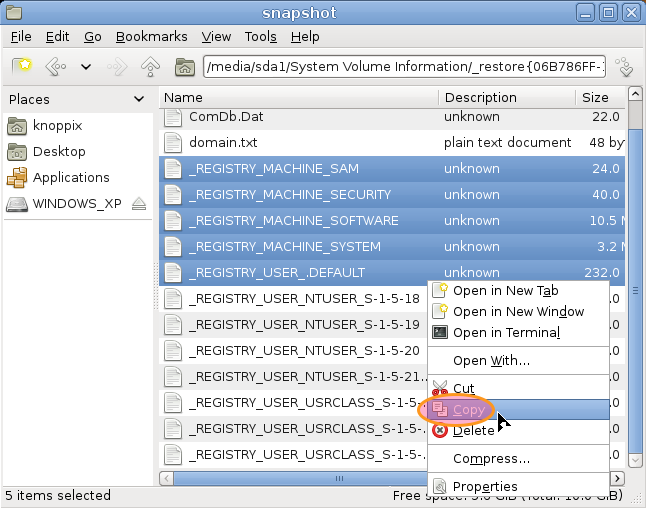 Next, click on the directory marked _restore proceed by some random hex values and hyphens in brackets. 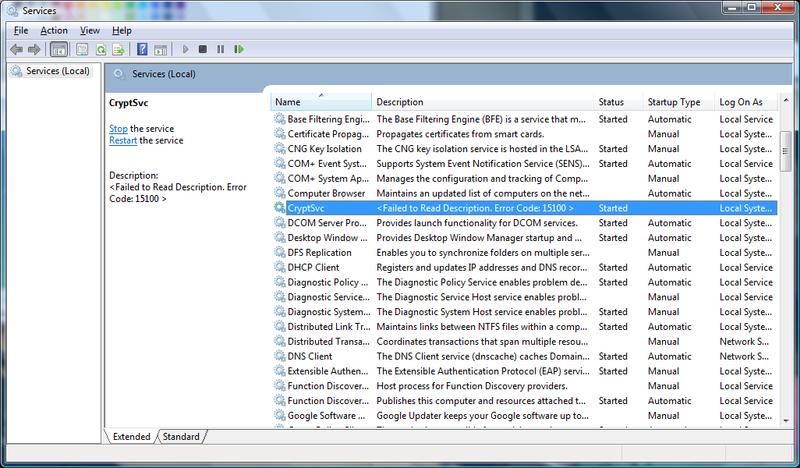 This next part may be easier if you put PCManFM into Detailed List View by clicking on View -> Detailed List View. 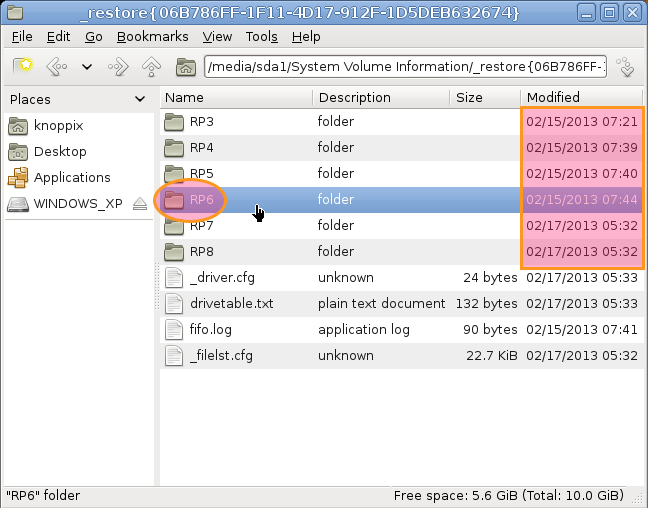 Now that it is set in Detailed List View you can clearly see when each restore point folder corresponds to what date. These dates are a good indicator of when each restore point was made. This should give you a good idea of which one you should pick. In the example below I opted to go back a couple of days. 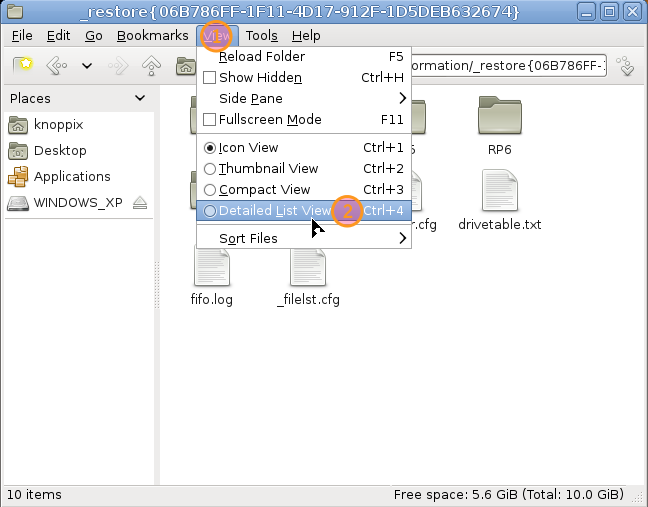 When you have chose the restore point that would like to use click on the folder associated with it. Then open the snapshot folder inside it. 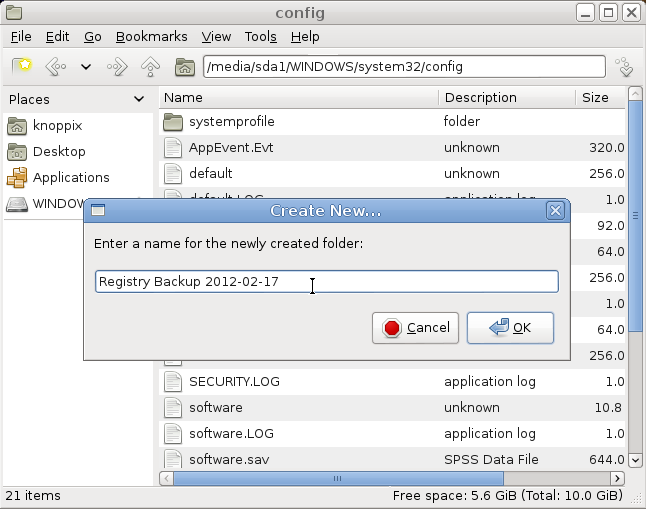 Now click back on the partiton where your Windows install is and navigate to ./WINDOWS/System32/config and create a backup folder for the old registry hive files. Make sure to include today’s date in the folder name! Okay, Nearly finished! Now just reboot the machine by clicking the start menu like item in the bottom left and choosing Logout then Reboot from the menu that pops up. 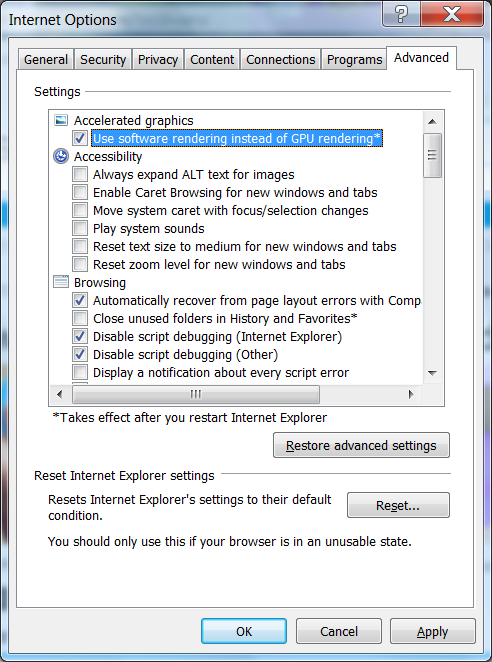 Last but not least you need to run a system restore now that you can get back into the system. 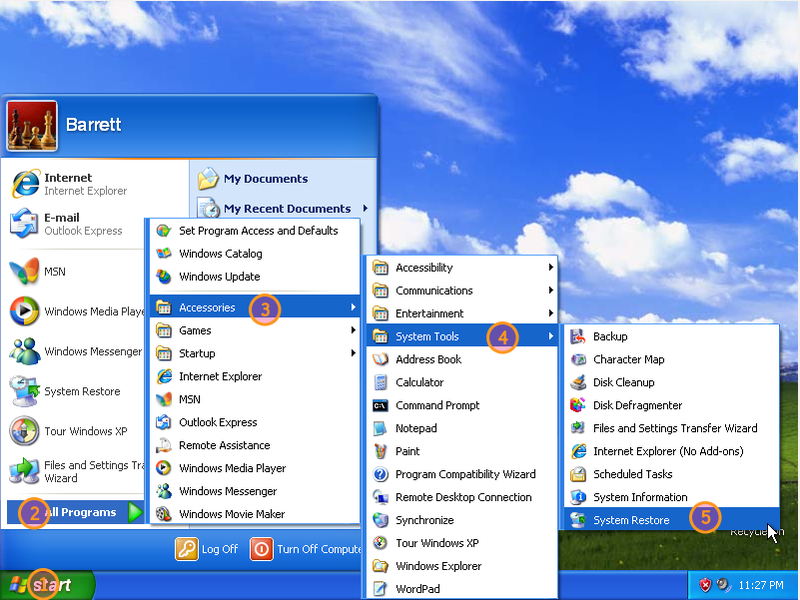 This helps insure that your registry and Window’s system files are on the same page. Fire up system restore. 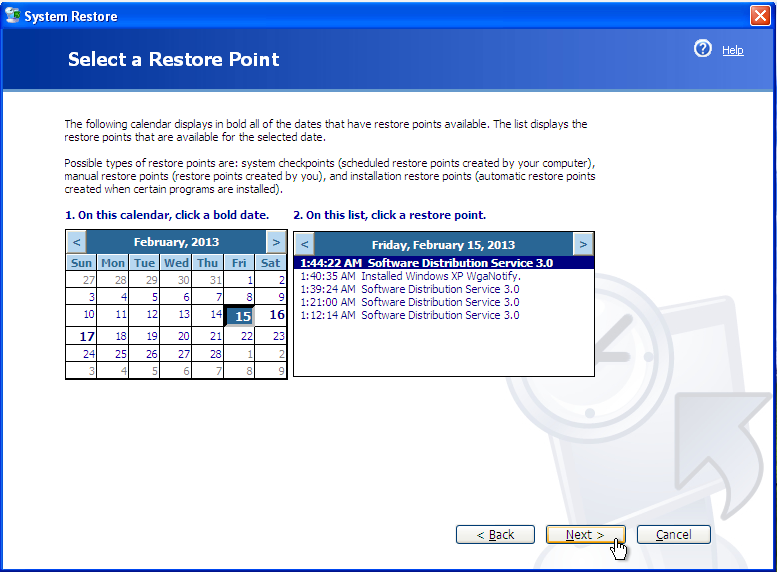 Now choose a date from system restore when the system was operating as you intended it to. It doesn’t have to be the same date as the day we picked earlier but it can be. After the system restore completes you are done! Wait, couldn’t I have used X and have gotten the same results? As the first screencap in this article hinted at you can accomplish this same task with a Windows XP disk, but you can resolve this by booting into anything that will let you read and write to the files on the partition that the corrupted Windows install is located on. Examples of this are your Windows XP installation media, a installed recovery environment, or a Linux bootable live CD. 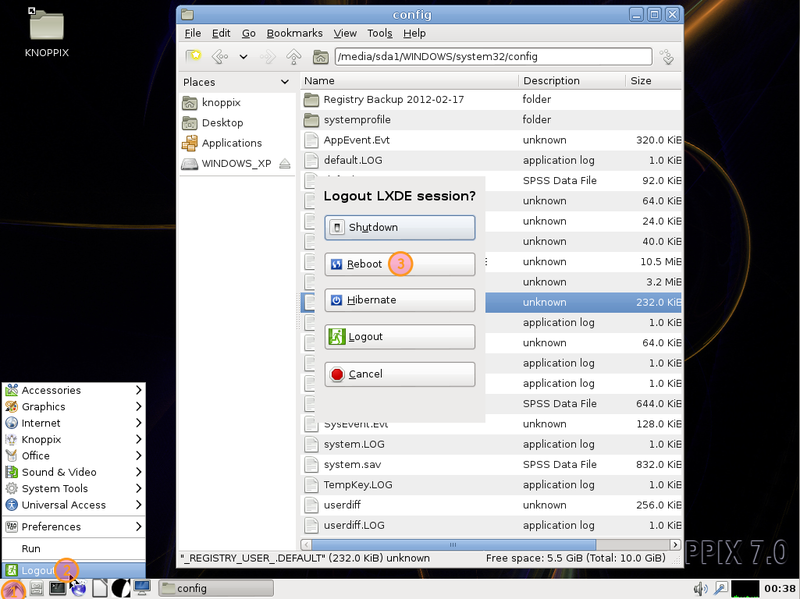 We used a Knoppix live CD because it is very compatible and has a GUI so it wont alienate anyone starting out. If you are starting out I wouldn’t recommend using the windows installation media because you may end up needing to slipstream drivers and without tab completion some of the directories can be a pain to type up. In the event you are in the mood for it, the Microsoft Blessed™ way to accomplish this is laid out in Knowledge Base article 307545. 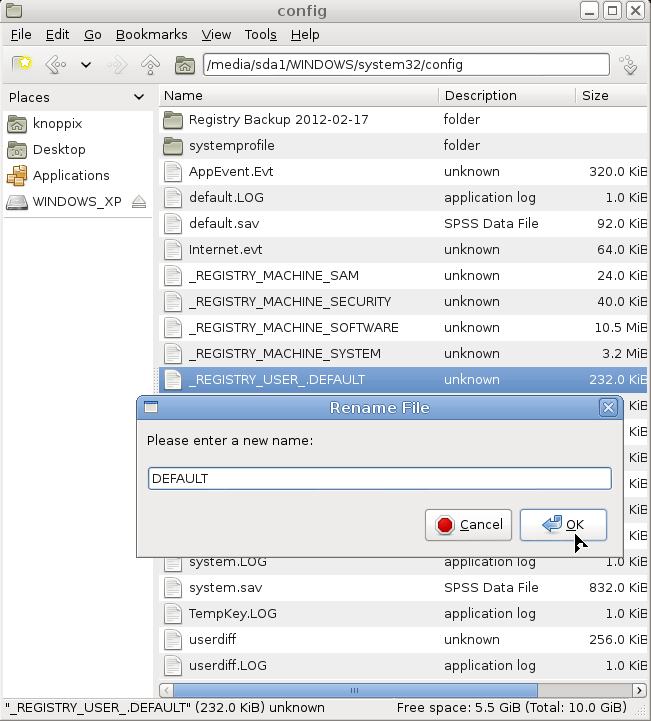 They have you do some extra steps just to put you back into a GUI quickly and then you have to mess with file permissions (because you are back inside your Windows system) to get to the files you need. This entry was posted in Base Level and tagged Knoppix, Windows XP on February 18, 2013 by J. Barrett Coats. Update Error: 0x80070426 on Windows Vista. CryptSvc showing an error message instead of a proper description. I replaced the file named in the log (C:\Windows\System32\en-US\cryptsvc.dll.mui) with one from a working vista machine. The good file I replaced it with had an md5 hash of deebc869807089a9b0bfb8332278ce7b and a file size of 4.00KB. This ended up fixing my problem! This entry was posted in PC Repair and tagged 0x80070426, Windows Updates, Windows Vista on February 11, 2013 by J. Barrett Coats. Arch Linux: Fixing Backlight Issues on a Gateway NV78 Laptop with systemd.